MIY Collection is now properly up and running. 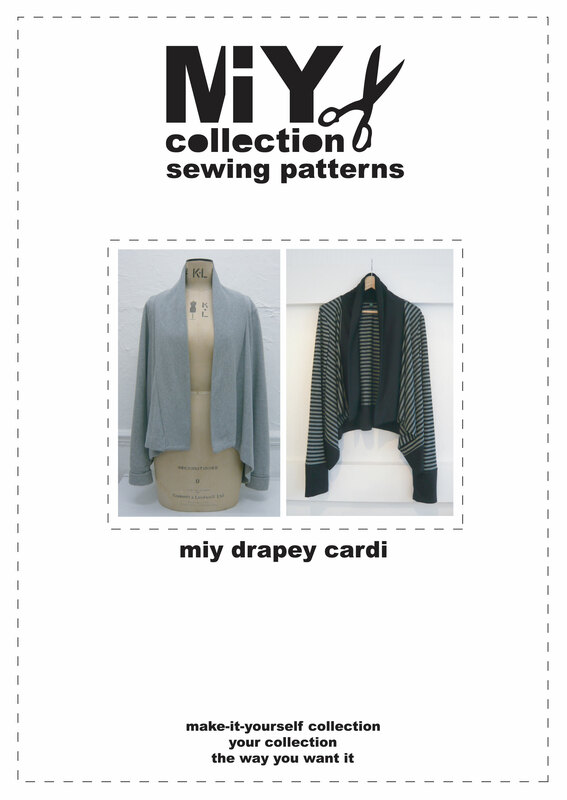 There is a website http://miycollection.co.uk/ an online shop http://www.etsy.com/shop/MIYcollection and patterns are available at MIY Workshop. There are currently 3 designs available (with plenty more in development!) and they’re all just £10 (plus P&P when bought online). A great pattern for beginners and easy to customise with the use of mix and match fabrics. 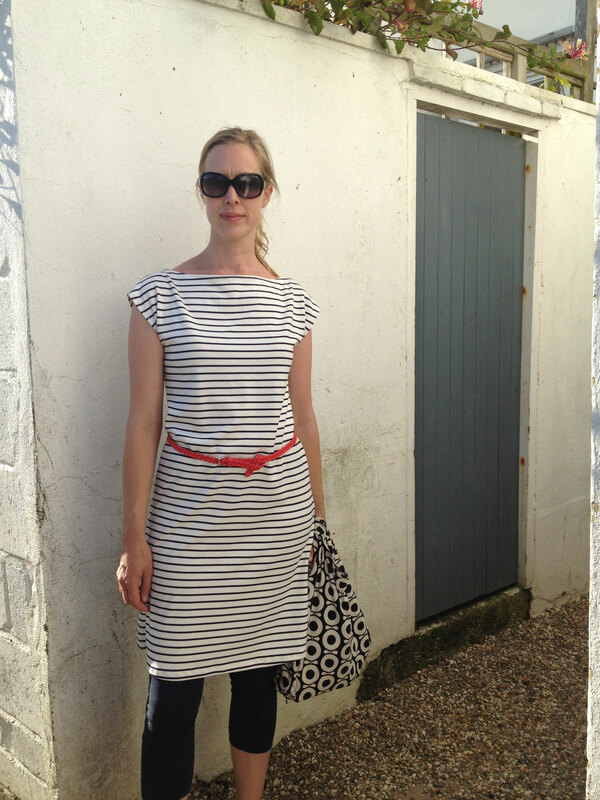 Lots of students at MIY Workshop have successfully used this pattern, here’s the latest, Malene with some very accurately matched stripes! 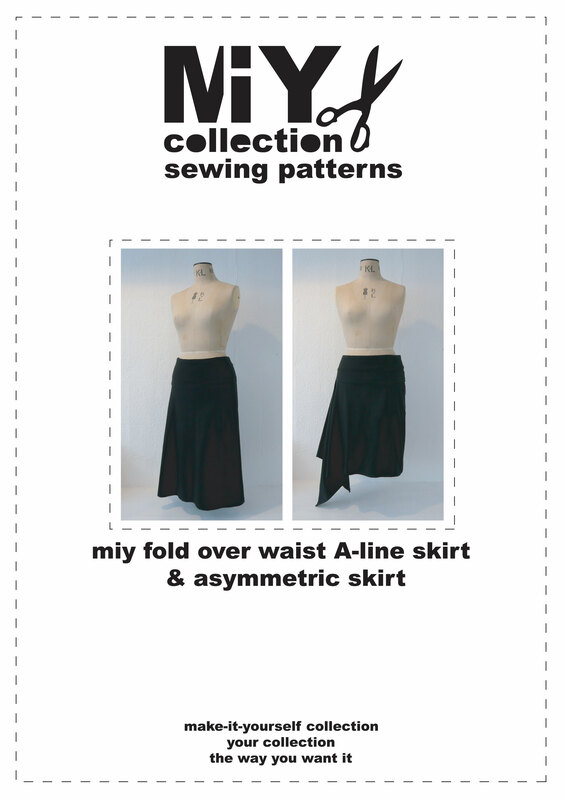 Two styles in one; an a-line skirt (a shape which seems to suit almost every body shape) and a more unusual asymmetric skirt, both with a super comfortable deep fold over waistband. Another popular one with MIY Workshop students, I currently have 3 students making this style! Works equally well in heavier sweatshirt fabric for autumn/winter or simple jersey for a lightweight summer cardi. It’s a lot easier than it looks! This entry was posted in For sale @ MIY Workshop, MIY Collection Sewing Patterns and tagged miy collection, MIY Workshop, sewing patterns, Wendy Ward. Bookmark the permalink.